The EU wants the rights of EU and UK citizens affected by Brexit secured for a lifetime. It also wants the UK to pay the cost of relocating EU agencies and to pay its EU bills until 2023. 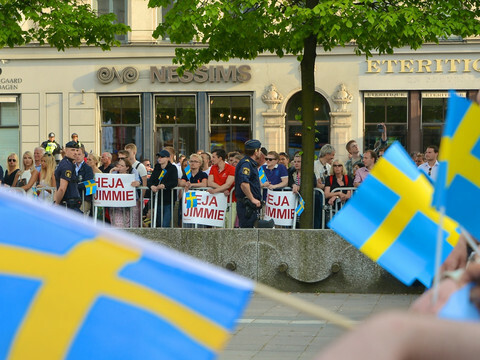 These were among the key elements of the bloc's negotiating position, unveiled on Wednesday (3 May) by the European Commission. British prime minister Theresa May hit back by saying the EU wanted to interfere in the UK elections and that “some in Brussels" did not want the Brexit talks to succeed. The EU’s chief negotiator Michel Barnier warned against the “illusion” that the process would be painless and quick. He urged the UK to start negotiations as soon as possible after its election on 8 June. “The clock is ticking and days are going by,” he said at a press conference in Brussels. The French politician tried to soothe tensions between Brussels and London after Commission president Jean-Claude Juncker reportedly described the UK’s position as “delusional”. "I hope we will be able to build an 'entente cordiale' between the UK and the 27, which will last well beyond Brexit,” he said, referring to the name of the Franco-British alliance sealed at the start of the 20th century. 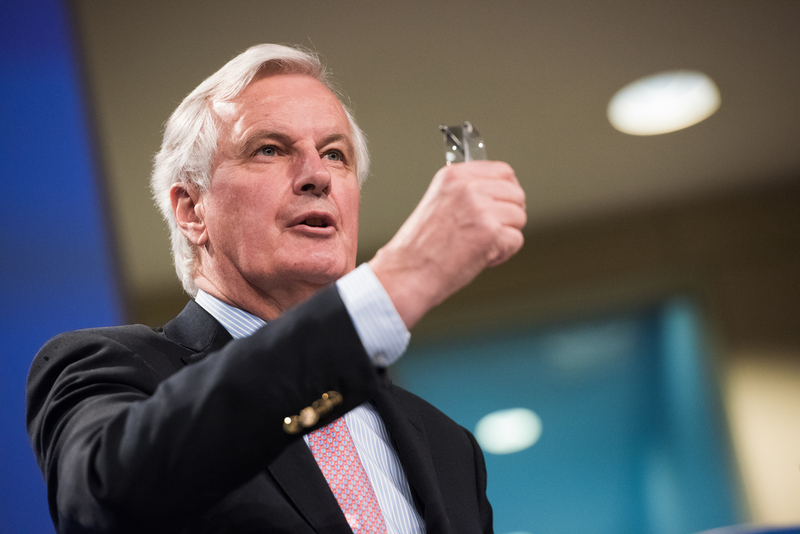 The task could be arduous, as Barnier's mandate included several items that will be difficult to swallow for UK negotiators. 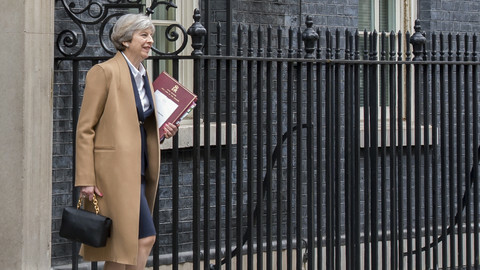 The mandate covers only for the first phase of negotiations focusing on the divorce, once again dashing May’s hopes of talking about a future EU trade deal in parallel. 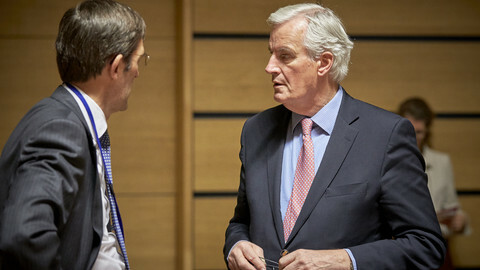 “There will be human, social, economic, technical, financial, legal consequences … that’s why things have to be done in a given order,” Barnier said as an argument against parallel talks. He hoped to have achieved enough progress by October to be able to recommend to EU leaders to open the second phase this year. The negotiators have 15-16 months after talks start in June to agree on the divorce so that EU leaders and the European Parliament have enough time to sign off the accord before the UK is automatically excluded from the EU in March 2019. 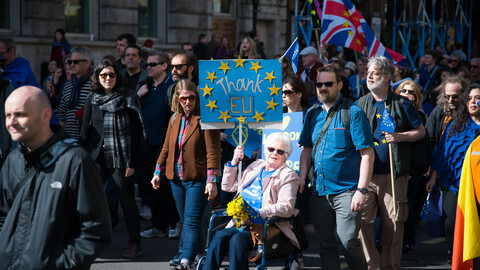 As a precondition to move on, the EU set out a long list of rights that needed to be protected and guaranteed for life for EU citizens living the UK, and UK citizens living in the bloc. The Commission estimated that there were 3,2 million EU citizens living in the UK and 1.2 million UK citizens living in the UK, but the deal would cover more people, including those who had previously lived in the UK or the EU. The EU wanted to guarantee their right to reside, access to work, health care, and education, and the mutual recognition of diplomas on the basis of EU law for a lifetime. The bloc wanted those rights to be guaranteed by the European Court of Justice (ECJ), the Luxembourg-based court whose jurisdiction May wanted Britain to leave. That meant, for instance, that if UK citizens felt their rights has been violated in an EU country, they could turn to the ECJ, after exhausting national courts, and vice versa. EU officials insisted that as the divorce deal foresaw the continued application of EU law, the only court that would be competent to interpret and enforce EU law was the ECJ. The EU also wanted to “settle the accounts” before the UK exited the bloc, and before future trade talks could start. Figures of between €60 billion and €100 billion have circulated in the media. 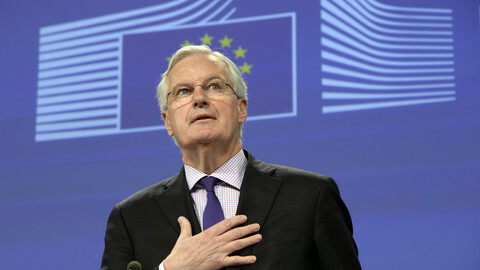 “This is not a punishment or an exit tax,” Barnier said on Wednesday. The EU was looking for a single financial settlement that would cover all financial relations and commitments that the UK had undertaken as a member. It covered EU programs, projects, funds and facilities related to European policies and European institutions like the European Investment Bank and the European Central Bank. The UK was also asked to pay for the relocation of two EU agencies, the European Medicines Agency and the European Banking Authority, from the UK to the EU. EU officials refused to speculate on a global figure for the UK, saying that the EU might enter into new commitments while the UK is still a member and the final cost could still change. EU officials also pointed out that the UK would have to pay even after it left the bloc, as obligations stemming from EU cohesion funds could extend until 2023. Meanwhile, Barnier will visit Ireland next week for talks on avoiding a hard border with Northern Ireland, which could jeopardise the peace agreement reached in 1998, one of the EU’s key Brexit objectives. "As a negotiator, I’ll be focusing on facts, laws, and solutions. I won’t be guided by emotions and hostility,” Barnier, a former French government minister, said. He described the controversial dinner last week between May and Commission head Jean-Claude Juncker as having been "cordial" despite reports to the contrary in a German newspaper. He said they shared a common love of “rambling in the mountains”. He also said that hiking held useful lessons for Brexit talks. "If you like like walking in the mountains, you have to learn certain rules, like putting one foot in front of the other, because sometimes you are on a steep and rocky path. You also have to look at what accidents might befall you. You have to be very careful to keep your breath, you have to have to stamina, could be keep a lengthy path, and you have to keep looking at the summit, the outcome," he said. May wasted no time to hit back on Wednesday, accusing "some in Brussels" of not wanting the talks to succeed. She said the continental press had misrepresented Britain's negotiating position. "The European Commission's negotiating stance has hardened," she said, adding that "threats against Britain have been issued by European politicians and officials". May accused the EU of wanting to interfere with the results of the 8 June UK election, but Barnier refused to comment on the UK vote in his press briefing. Barnier to set out EU negotiating positions on citizens' rights, divorce costs, and Ireland in Brexit talks, amid a prickly atmosphere between London and Brussels. Merkel said Britons should not expect to keep rights linked to EU membership, as leaders prepare to adopt negotiating position on Saturday. 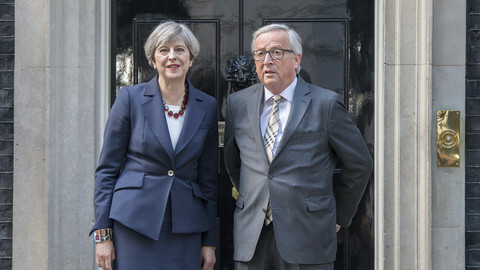 Juncker told Merkel that May was "deluding herself" on Brexit after a prickly dinner in London last week, according to a German report dubbed "Brussels gossip" by May. Facing two years of uncertainty while Brexit negotiations are underway, EU and UK citizens caught up in the political battle want a separate agreement to secure their rights and future. The UK prime minister is accused of making "paranoid and xenophobic" statments and alienating EU partners after she claims that some in Brussels do not want Britain to succeed.